Tobago is a surprisingly rural island. Even within the more populated southwest of the island, few holiday accommodation properties are within comfortable walking distance of more than one or two beaches, restaurants and shops. A self-drive vehicle is by far the best way to optimise your time on Tobago. Why waste precious holiday time waiting for buses or taxis? It would be better to stay in cheaper accommodation WITH a rental car than in more expensive accommodation WITHOUT. Auto rental is far from cheap and it is vital to choose your supplier wisely. Higher prices from established agencies generally mean newer, better-maintained vehicles. We receive and hear more complaints about car rental than any other tourism-related business type, so please heed the warning and Reader Satisfaction Ratings (RSR) in the listings. KCNN, Bon Accord One of Tobago's more reputable and established services. Reports are always good, making KCNN a favourite choice with many regular visitors. Lady In Red, Crown Point IMPORTANT! Before considering this service, visitors are strongly advised to check our forum (here and here). Shame on Lady In Red! Rodriguez Car Rental, Crown Point Previously traded as part of the Thrifty franchise. Sheppy's Car Rental Services, Crown Point Our Personal Choice! Undoubtedly the friendliest, best-known and most popular car rental service on Tobago. Taylor's Rental, Castara Nice cars and good value. An excellent choice for Castara-based visitors. Yes Tourism, Lowlands A car rental brokerage service, placing reservations with five of Tobago's best rental services. We recommend that first-time visitors to Tobago start their holiday with a full island tour with a reputable guide. This will help you to get your bearings, introduce you to the road system and the major landmarks and provide an invaluable indoctrination into local driving practices. The experience gained will benefit you for the rest of your holiday, whether you travel by public transport, taxi or self-drive rental. Vehicles drive on the left in Tobago. Brits will welcome this and be undaunted by the narrow twisty roads. There is a national speed limit of 50kph/30mph throughout the island, so speeds are low. This makes the transition for travellers used to driving on the right much easier. Driving around Tobago is remarkably easy. There are no multi-lane highways and very few main roads. There are also exceptionally few signposts. Wandering from your intended route is seldom more than a minor inconvenience. You can never get truly lost in an island that is only 26 miles long by 8 miles wide. Stopping to ask directions can be an illuminating experience and you will invariably continue with a smile on your face. 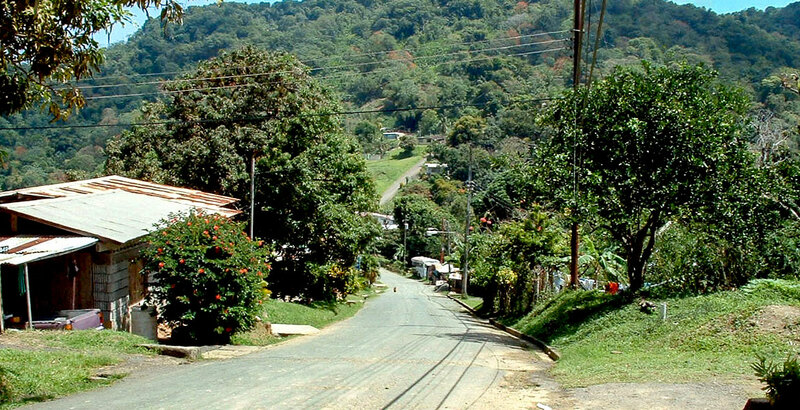 The roads on Tobago are now of improving quality by Caribbean standards. However, once you move away from the Crown Point-Scarborough belt and into more rural areas, surface quality does tend to deteriorate. Great care must be taken on the twisty roads in the more rural parts of the island where you may encounter oncoming traffic on your side of the road as they manoeuvre around large potholes or road subsidence. Fortunately, the nature of these rural roads means that travelling speeds are low. So, accidents are less frequent than you might imagine. Driving standards on Tobago are poor. Few drivers signal their intention to turn and vehicles are likely to stop without warning. Shared 'route' taxis are the worst offenders, regularly stopping to drop off and pick up passengers without the slightest concern for following traffic. You will also regularly have to 'overtake' vehicles that have been parked a foot or two from the kerb. You may be excused for thinking that I am doing a great job of persuading you NOT to hire a car. Take no notice! Driving yourself around the island is highly recommended. It is very easy and invariably great fun – even if frustrating at times. I have exaggerated the problems to make the point that drivers should avoid getting carried away by the stunning scenery and must constantly keep an eye on the road and vehicles ahead. The typical daily rental rate for a small modern car or SUV, from a reputable established agency, will be in the range US$50-55 (£38-42). Larger, or more luxurious, vehicles will obviously cost more. Daily rates are normally discounted for weekly, or longer, periods of hire. Typically US$300-350 (£230-270) per week. Smaller agencies and villa owners sometimes rent private vehicles to visitors for much lower rates. We've heard figures quoted as low as US$30 (£23) a day. This may sound like a bargain, but be warned; the car may be older than your children and considerably less well nurtured. Worse, the legal and insurance position may be uncertain and could present problems in the event of an accident or mishap. When comparing the rates between agencies, it is important to make sure that you are comparing like-for-like. Differences in price may simply reflect the age of the vehicle: the difference between a one-year-old car and a five or even ten-year-old version of that model. Do NOT judge Tobago car hire by the normal standards of North America or Europe. I doubt whether there is a rental car on Tobago that left the factory doors within the last 5 years. Based on long experience of the Tobago car hire market, my unreserved advice is to bite the bullet and hire from one of the larger, more reputable agencies. When hiring a vehicle in Tobago, the quoted rental rate will typically only include the legally-required third-party insurance. You would be advised to check the agency's terms and determine the limit of your liability in case you are involved in an accident or suffer damage to the vehicle. Some agencies limit the hirer's liability to a reasonable sum - say US$600 (£400). Other agencies offer no protection whatsoever, so in the event of an accident or damage, you could potentially be liable for the full cost of repair, recovery costs and possibly even the owner's loss of earnings while the vehicle is off the road and unavailable for rental. Collision Damage Waiver (CDW) if a form of insurance, or agreement with the agency, that offers protection against liability. Full CDW normally absolves the renter of any liability and will typically cost from around US$20 (£15) per day. Partial CDW limits your liability to around US$500 (£375) and typically costs around US$10 per day. It is possible to buy worldwide car hire excess insurance before your trip to Tobago. In fact some North American credit cards offer auto rental collision damage waiver cover as part of their package. However, do not assume that this will cover your vehicle hire in Tobago. Always check with your card company to ensure that the insurance is applicable to Tobago rentals. One word of warning: whilst most Tobago rental services are honest, we know of one service that allegedly makes repeated damage claims for the same minor unobtrusive dents on some of their vehicles. They invaribably do this when the visitor returns the car immediately prior to catching their flight home and is therefore under a degree of time pressure. To protect yourself against such false claims, it is a good idea to use your phone or camera to photograph all four sides of the vehicle on collection and in the presence of agency staff. Frankly, this advice applies whenever you rent a vehicle, anywhere in the world, not just in Tobago. Normal vehicle insurance excludes off-road use. Before you hammer your jeep down that track to the beach, remember that the cost of a replacement gearbox or axle could seriously hit your holiday budget. The complexity of the insurance options makes it difficult to compare agencies. However, it is fair to say you invariably get what you pay for. 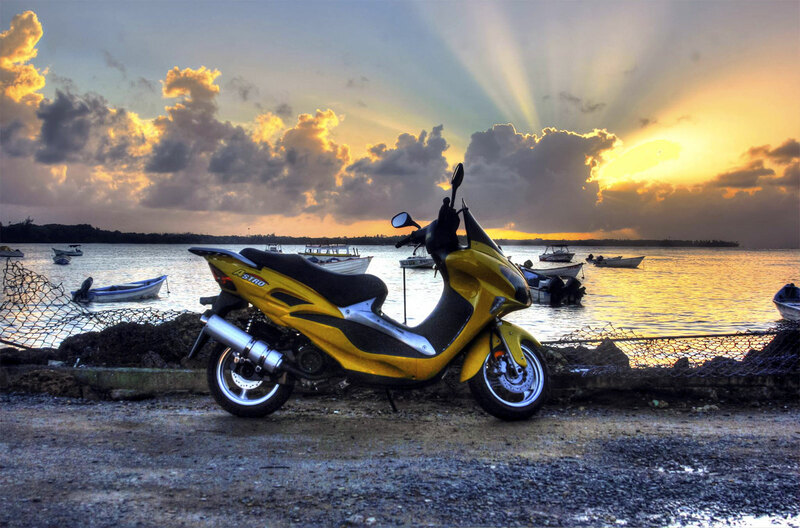 The legalities of renting a vehicle in Tobago are much the same as in most countries. Drivers must be 25+ years old and have at least two years driving experience. Driving licences must be presented on collection of the rental vehicle. This includes any other members of your party who may wish to drive the vehicle. A reserve driver is always a wise precaution. Take your full national driving licence – not a photocopy – and do not rely upon so-called International Driving Permits (these are not always as 'International' as they claim to be). Drivers who have suffered a major driving conviction or insurance claim must declare details or the insurance may be invalid. If in doubt, raise the matter with the rental agency when booking your car. Doing so before arriving on Tobago will avoid delays or disappointment on collection. By law, a valid certificate of insurance must be carried in the vehicle. This is normally kept in the front glove compartment. Refuse to accept a P-plated vehicle if the insurance certificate conditions specifically exclude 'hire and/or reward' and/or do not clearly extend the cover to privately-registered vehicles. Your rental vehicle should therefore have a registration number starting with an 'R'. Be aware that normal hire-and-reward insurance required for rental vehicles does not normally cover vehicles registered for private usage. Having a 'P' plate does NOT automatically mean that the vehicle is NOT insured for rental. The agencies CAN get hire-and/or-reward insurance but doing so is the exception, rather than the rule. Most cars on Tobago were "roll-on roll-off" pre-owned vehicles shipped from Japan, Korea or Singapore, where legislation insists that vehicles beyond a certain age must be destroyed or disposed of. So, most rental vehicles are at least one or two model iterations older than you might be familiar with in the UK, Europe or North America. Vehicles of Far-Eastern manufacture dominate the rental market. Similarly, even the largest car rental agencies on Tobago typically only have one or two examples of all but the most popular models of vehicle. Unless you book well in advance, your choice may well be very limited. There was a time when 4x4 SUVs were the best choice of rental vehicle on Tobago. They are still hugely popular with visitors. The ever-popular soft-top SUVS have largely disappeared, as none have been manufactured for over 10 years. So, be aware that any soft-tops offered to you will be ancient and offer a poor quality of ride and comfort by modern standards. SUVs are still a good choice for some rural accommodations, but Tobago's roads have improved so much in recent years that any saloon/sedan car will be perfectly suitable for holiday travel on Tobago. Most rental agencies will deliver vehicles to the hirer's hotel or accommodation. Consequently, there is no real need to limit your search for a suitable agency to the immediate area of your hotel or accommodation. However, you may have to pay a nominal charge for delivery and return in more remote areas of the island. Most leading agencies provide vehicles with a full tank and ask visitors to top up before return. Others take a more relaxed attitude and ask that you return the vehicle with as much fuel as it had at collection. Trinidad is a petroleum producer and petrol (gas) is cheaper than bottled water. However, obtaining fuel on Tobago can be hugely frustrating. Fuel shortages are common and filling stations appear to open and close at a whim. Hours are short and queues the norm. Note the absence of filling stations along the Caribbean coast and Main Ridge forest reserve. Carnbee located on the northern side of the main Auchenskeoch Buccoo Bay Road at the eastern end of Carnbee villa, just a short distance from the roundabout junction with the Claude Noel Highway. Charlotteville located on the right side of the road, opposite the beach, as you enter the main part of the village. Crown Point located on the right (south) side of Milford Road, between Pigeon Point and Canaan. Plymouth located at the crossroads in the very heart of the village. Difficult to miss, but open erratic hours and regularly out of fuel. Roxborough there are two gas stations in Roxborough. The first is a smart new modern facility located at the junction of the Windward Road and Bloody Bay Road near the Argyle Waterfall. There is also a second older outlet, in the middle of the village, on the left side of the coast road as you head towards Speyside/Charlotteville. Scarborough located on the right hand side of the main highway as you approach Scarborough from the south-west, just past the turn to the hospital at Signal Hill. 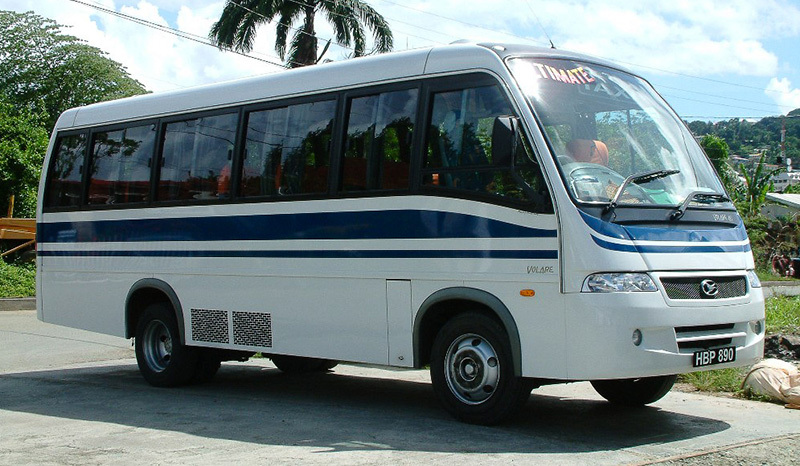 Public transport on Tobago is limited to a somewhat erratic and uncomfortable bus service. There is no railway or underground/subway networks on Tobago. Don't laugh! A reader did once request that I send him a map of the subway system. Buses run between Scarborough bus station and Crown Point, Buccoo, Plymouth and Roxborough. The service is cheap, but the buses are crowded. Only the most adventurous visitors tend to use these services. Buses theoretically run to a regular hourly timetable. However, the buses are poorly maintained and only a small handful of the island's 30+ bus fleet may be in service at any one time. Do not expect punctuality on Tobago – you simply stand beside the road and wait (and wait, and wait). Time runs to a different clock on Tobago. Private Taxis: The vehicle is for the hirer's exclusive use and will take you wherever you ask. Tobago taxis do not have fare metres, so it is important to agree a fare before entering the vehicle. 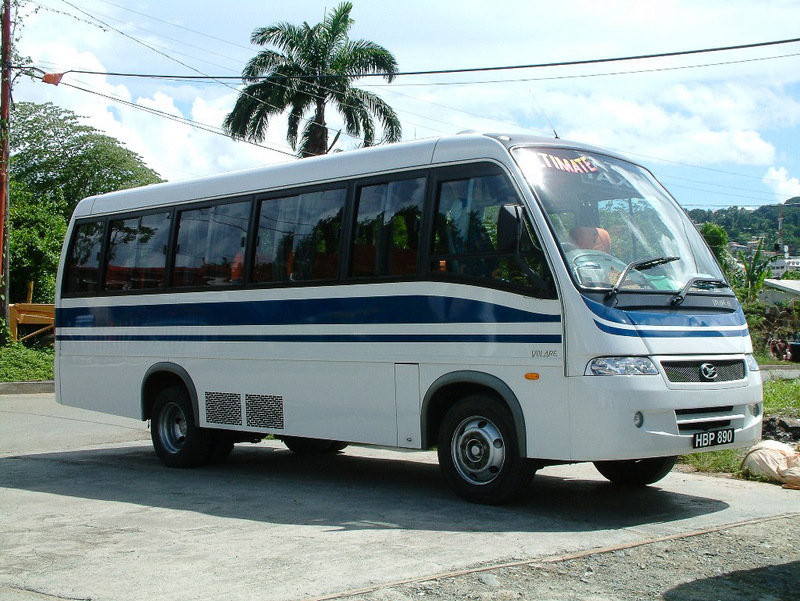 Route Taxis: These 'public' taxis (including larger minibus variants called Maxi Taxis) are the most common means of public travel. They operate along set routes and are hailed from the roadside. Route Taxis depart from Lower Scarborough for western destinations, and from Main Street, Scarborough, for other destinations. They are cheap, but the price must be negotiated on pick-up. Route Taxis operate on a shared basis with passengers being dropped-off and picked-up on demand. When hailed, the driver will often toot his horn to signal that he has a spare seat. In addition to the 'official' taxis, there are a huge number of illegal taxis. Known locally as "pulling bull", these are private cars with a 'P' registration, rather than the 'H' registration of licences taxis. They will take you to your destination very cheaply. However, these vehicles are NOT insured for hire and reward and you will not be covered in the event of an accident. Worse, you could be putting your personal safety at grave risk. We very strongly advise visitors against using these illegal vehicles. Ladies travelling alone regularly ask if there are any female taxi drivers on the island. The only one that we are aware of, and who was highly recommended, is Jean McEachnie. Please see the listing below for contact details. The following rates are a rough guide to typical one-way taxi rates for 1-2 people, from the airport. A 10% gratuity would be normal. Small motorcycles and scooters are an economical and popular means of transport in many destinations. Unfortunately, there are very few suppliers of this type of transport in Tobago. Safety helmets are a legal requirement on Tobago and these are provided by the rental agency. Conditions of hire vary, but in general state that hirers must be 18 or over and have prior experience and a clean insurance record. You will naturally be expected to produce your full national driving licence. Provisional 'learner' driving licences do not qualify. If you are staying in the flat Crown Point area, a bicycle is a great way of getting around, particularly if you are on a budget. I understand that there are one or two places in the Crown Point, Bon Accord and Canaan areas where visitors can rent bicycles by the day or week. However, it has proven difficult to trace the names of these services, or contact information, much less get any details. As usual, I appeal to both suppliers and readers to let me know if they can help by providing information. Cycling outside the Crown Point area will only be of interest to cycling enthusiast or fitness fanatics. 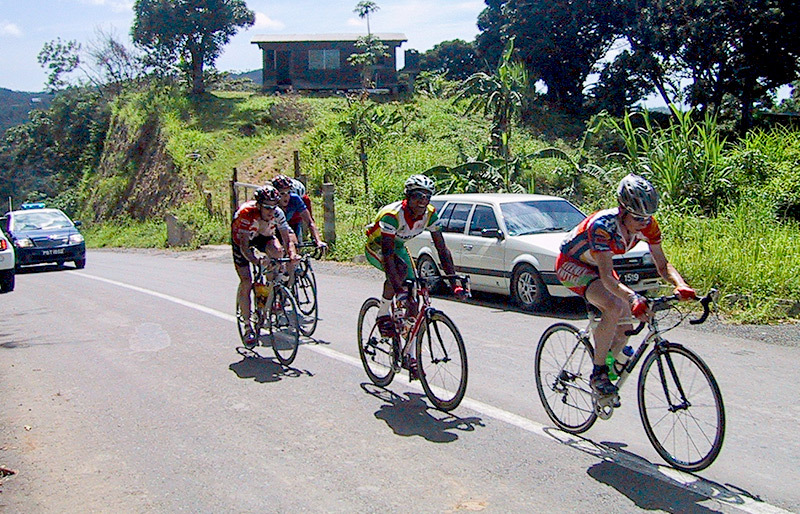 Tobago's hilly terrain will be a challenge to cyclists, especially in the heat. It doesn't bear thinking about! Mind you, quite a few people do it. 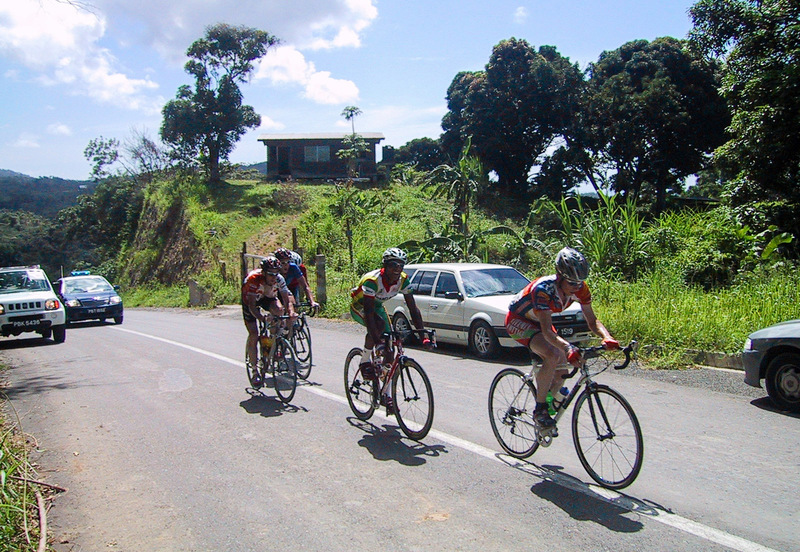 Serious cyclists will also be interested in our listings of Mountain Bike Tours.